It’s a Moana week of fun! Wear your island clothing! Bring Moana books and toys to share. On Friday Aug 9th we will have Splash day at Ms. Erica’s House! Wear your swimsuits and get ready for backyard fun! Bring a lunch to all camps and dress comfortably or in character for the theme! We provide all camps with a daily snack, arts and crafts projects. Our first two camps will do a Dance Presentation for the parents, Friday at 12:45pm. For our last camp we will do a show on Thursday at 2:15pm. Register online HERE or in the office to reserve your spot. Cut off time for registration is Monday 7/22, 9 a.m. You can register online or send us an email! Bring your American Girl doll (or any doll that you love!) and enjoy the week learning more about dance and the history of the American Girl Dolls. Campers will learn dances, songs, stage and performance skills and create the scenery, costumes and props for their Friday 2:15 pm performance. We will also take a Field trip to American Girl doll store on Wednesday! Bring your dance shoes and a lunch each day! Friday July 12th at 6:00pm. 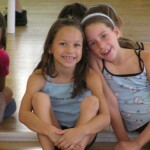 Camp includes daily classes in Tap, Ballet, Jazz, Hip Hop, Singing and Acting. Additional classes in: Either, Contemporary, Lyrical, choreography, scenery, props and/or costume making. A field trip and daily snack are provided. T-shirt, photos and a notebook are also included in the fees. Bring your dance shoes and a lunch each day! Campers will perform on Friday evening for family and friends at 6pm. _____Get a non dance affair student to reg and pay, -$20 up to 5 friends/$100. Check out our students at play! Please bring a lunch and water bottle every day. Dress comfortably /dance clothes are welcome! Spring Hip Hop Fridays 6:00 ages 7-11. Spring Classes are open for enrollment. Click the above registration link and go to Spring Session 2. In our 2018-2019 session, we are still accepting registration for Pre-K Play, Yoga, and KK 1 on Tuesdays. 2018-2019 SEASON is NOW closed for Registration. Please register for a Spring Class! Get on your DANCE TRACK NOW! Visit our Dance Supply Boutique for all your dance needs! The Dance Affair offers Cecchetti Graded Syllabus Classes taught by Erica Fairfield, Cecchetti Trained and Certified Ballet instructor. Visit our Community Page on Tikkl. 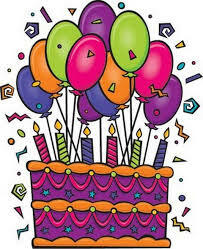 Have A Dance Birthday Party!